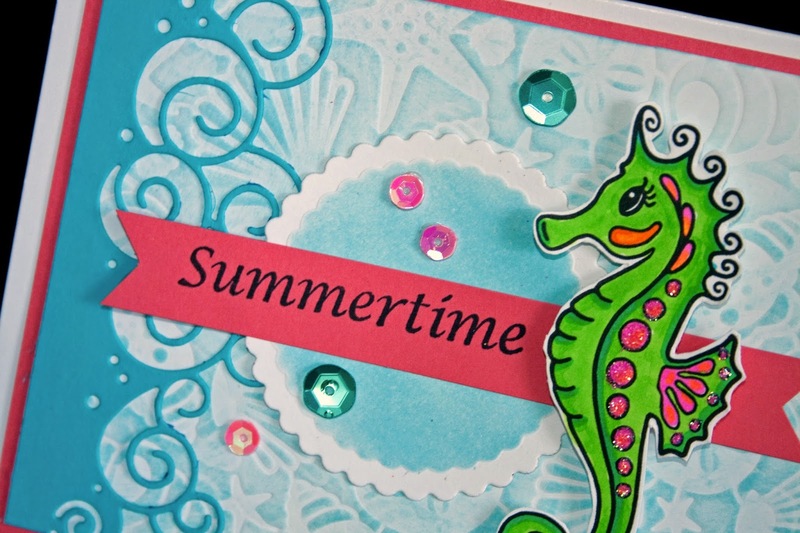 Hi Stampers!! My inspiration came from the Mojo Monday Challenge...and I guess they are called that for a reason! Most of the time I don't struggle to much, but this one has been sitting on my desk for several days before it finally came together!! 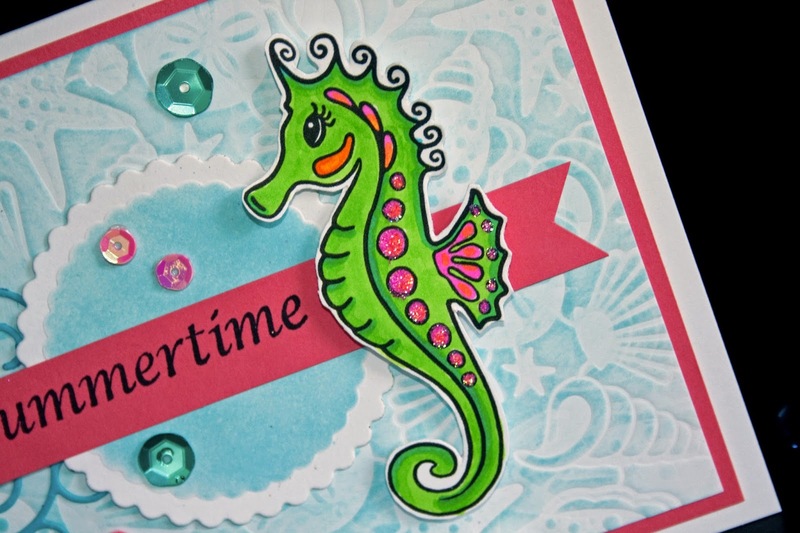 I started out by coloring my Seahorse from my new Digi Kit here. Then finally piece by piece it all finally came together. 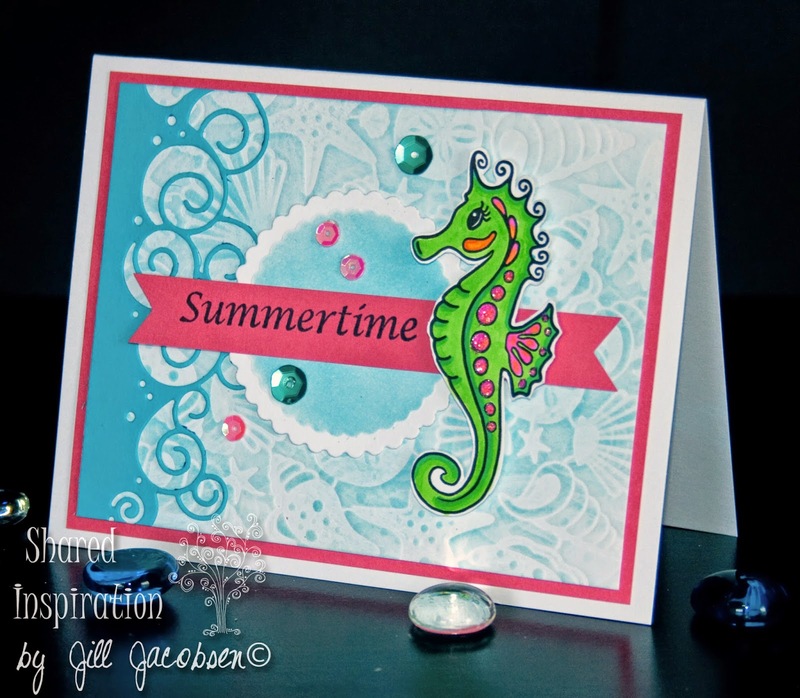 The background is an Impressionibility from Spellbinders, the border is Splash Border from Memory Box, and I used Tumbled Glass Distress ink for the shading....and of course to finish it off the sequins and a bit of glitter on the seahorse spots. 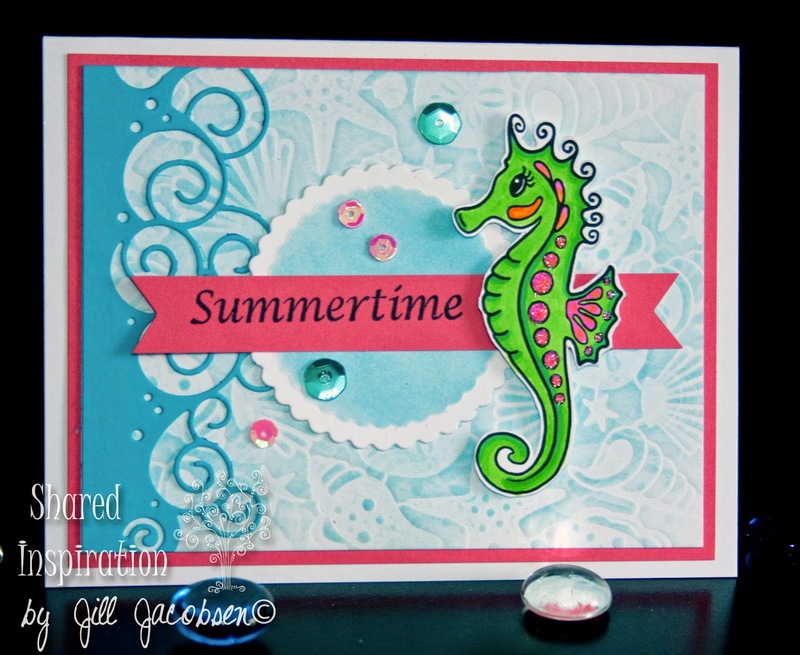 The sentiment is from my Summer Swirls at Sparkle N Sprinkle. Be inspired and do something creative today!